Why Snorkeling in Indonesia Must Be One of Your Bucket List and Where You Should be Go? Indonesia is well-known for its beautiful nature with more than 17.000 islands between Asia and the Pacific Ocean. With other words, it is Earth’s largest archipelago. Most tourists have known Bali as the most popular snorkeling destination in Indonesia, but it has more than that. Indonesia has other destinations that are as amazing as Bali or even more marvelous. This is because there are plenty of islands, so many hidden islands in Indonesia which can be said as heaven for divers. The underwater beauty here is also helped by a variety of unique and complete marine biota which you certainly can’t find elsewhere. 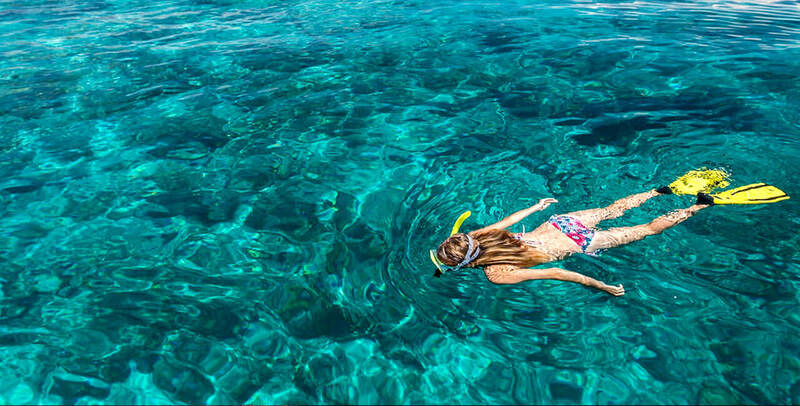 Moreover, some of the snorkeling spots are well-known with the magnificent coral reefs and shipwrecks, make them as high tourist amount destinations. Other than that, local people in Indonesia are famous for their hospitality and of course they do not hesitate to help you. In Bali, you can visit Nusa Penida, a new interesting place for snorkeling with a quiter atmosphere. It has three attractive spot: Manta Point, Gamat Bay and Crystal Bay. You will see various stringrays in Manta Point, they have diverse motives and wingspan more than 3 m. While in Gamat Bay, it is famous with its unique coral reef, sharks and turtles. The third spot is Crystal Bay with its well known underwater cave that will lead you to bat cave hole. Another best place for snorkeling is definitely Raja Ampat, which has international reputation for the outstanding nature. You can visit Batu Lima, which means “the five rocks”, an extension of the house reef to swim between the rocks and see the wonderful pinks and purples of the gorgonians. For other option, Mioskun offers chromis and damsel fish, fusiliers and the passing trevally and jack fish for a different snorkeling experience. Don’t forget to also try Cape Kri because it holding the world record for the highest number of fish species counted in a single dive. The third place to have an unforgettable snorkeling experience is Labuan Bajo that is located in Flores. Kanawa Island is popular as the snorkeling spot because there are hundreds of fish and we can even touch it. The tour guide will fed the fish with bread crumb while we are snorkeling. Kelor Island is famous too for the clear water and beautiful underwater view. To see the beautiful Kelor Island, you need to climb up the hill but it is totally worth it. So, these are some of awesome destinations for you who wants to snorkel in Indonesia. Here are the main tips for a safe snorkeling, the first one is use the snorkeling equipments properly. The basic equipments are dive mask, oxygen cylinder, and frog shoes. Don’t get too far from the tour guide or family and friends so there will be someone who looks after you if you need help. And the last one, stay alert with your surroundings under the sea. Last but not least, have a wonderful trip and snorkeling experience in Indonesia!